Our company has been developing software for over 15 years. Our products and our support service are a guarantee of quality and reliability. By purchasing an 2M Backup license you also have a professional support and consulting service. The license is perpetual and updates are always free. You have powerful features like Disaster Recovery (with hardware independent restore), file synchronization to NAS or to FTP servers, backup of all databases, including SQL Server Express and MySQL. The online backup and web console services allow you to create a complete, secure and effective backup strategy. 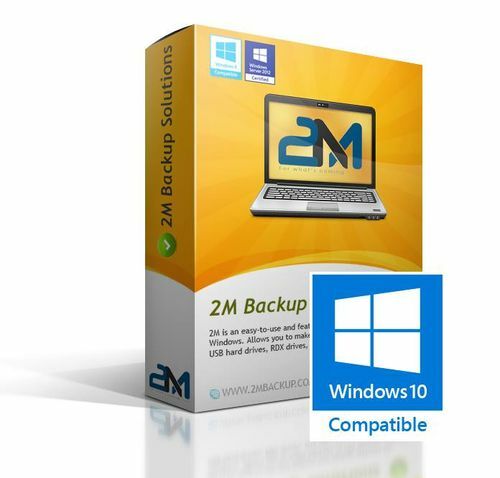 2M is an easy-to-use and feature-rich backup software for Windows. Allows you to make backups to NAS devices, external USB hard drives, RDX drives, and networked computers. It performs automatic backups with different scheduling modes and can send e-mail notifications to inform about the backup result. 2m supports compression, incremental backup, network authentication and execution of external programs and scripts. You can do image backups, synchronize folders and files even to FTP destinations, copy open or locked files (VSS) and keep multiple copies of the backup. 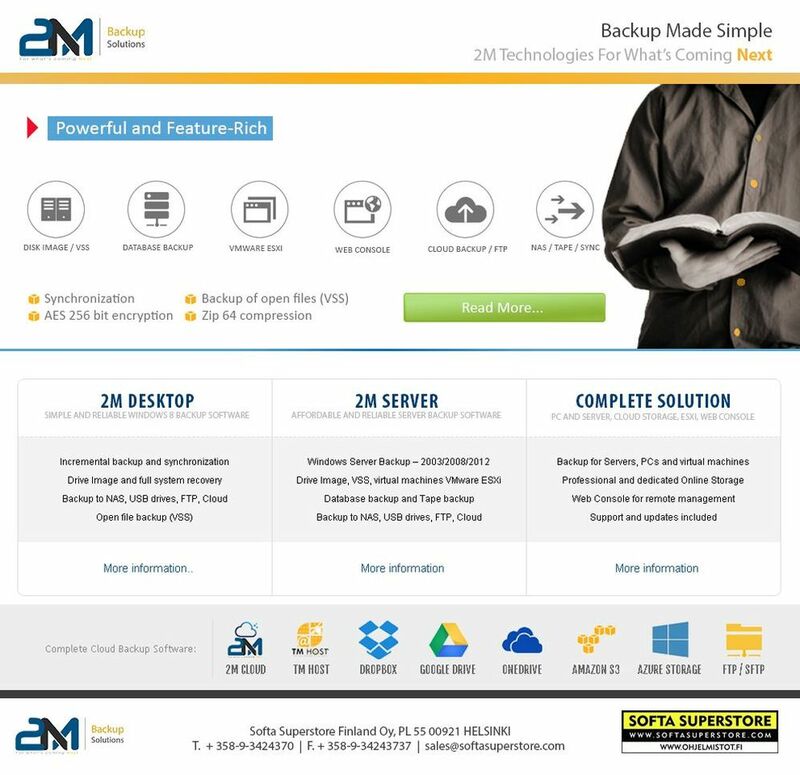 2M Backup is one of the best database backup software. 2M is a comprehensive program to perform automatic backups of SQL Server (including Express), Oracle, MySQL, PostgreSQL and MariaDB. It can make hot backups without any service interruption, both of local and remote databases, with automatic transfer to FTP servers or to Cloud storage services, with compression and AES encryption. All 2M Backup features are created to get the highest level of execution agility and ease of configuration. 2M allows you to perform different backup types on many devices: NAS, RDX, LTO or DAT tapes, external USB drives, networked computers, FTP servers, Cloud storage services, such as Google Drive, Amazon S3, Azure Storage, Dropbox or OneDrive. 2M can backup SQL Server, MySQL, MariaDB, PostgreSQL and Oracle databases and also make Drive Image backups, and create whole-disk images for Disaster Recovery and system bare metal restore with a few clicks. In addition you have many essential features such as e-mail notifications, detailed log files for each backup operation, execution of external processes and scripts, backup of open files (VSS), installation as service, synchronization, AES 256 bit encryption, Zip 64 compression, etc.